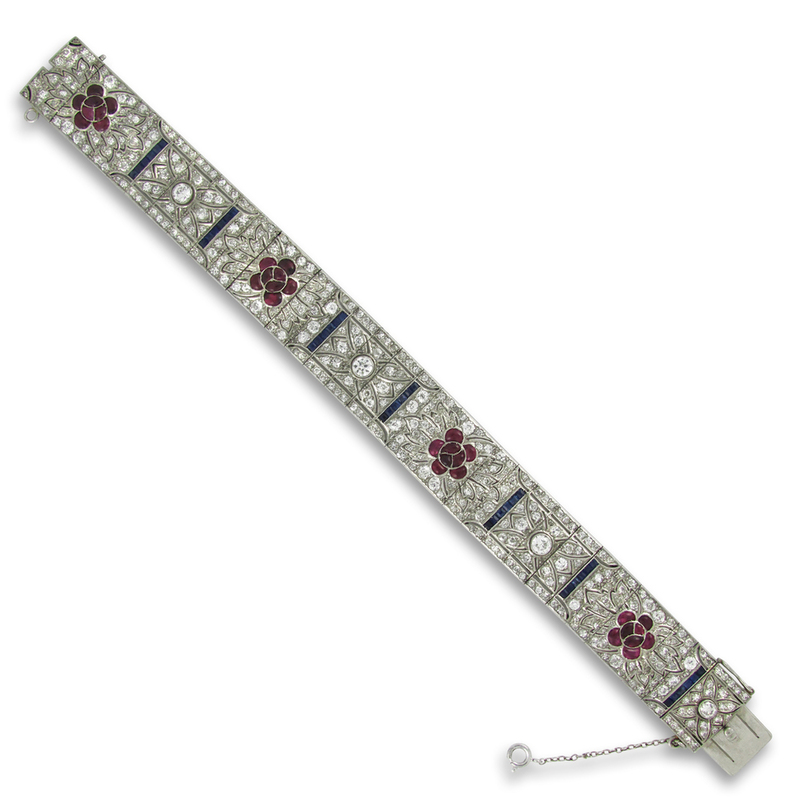 Art Deco platinum bracelet with four clusters of cabochon ruby flowers and seven rows of calibre-cut sapphires. Diamonds are Old Mine Cuts and single cuts with a total weight of approximately 13 carats. Circa 1930.